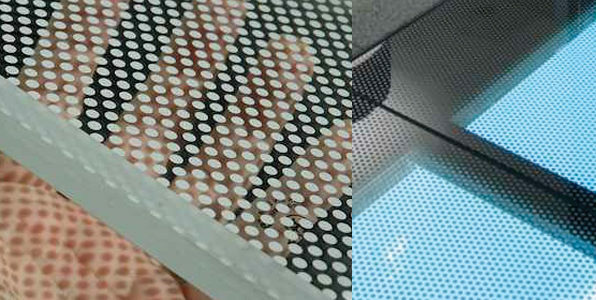 We adapt to your design. 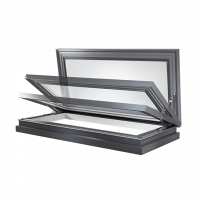 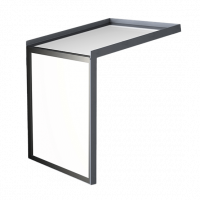 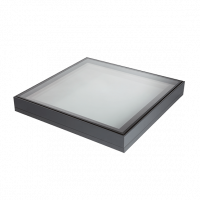 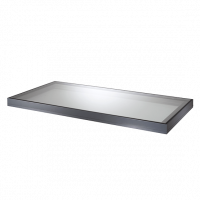 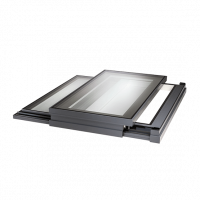 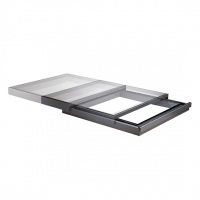 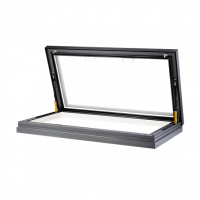 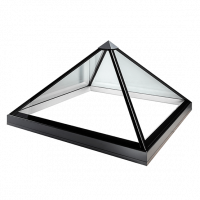 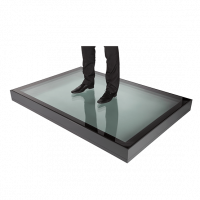 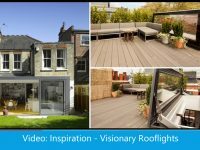 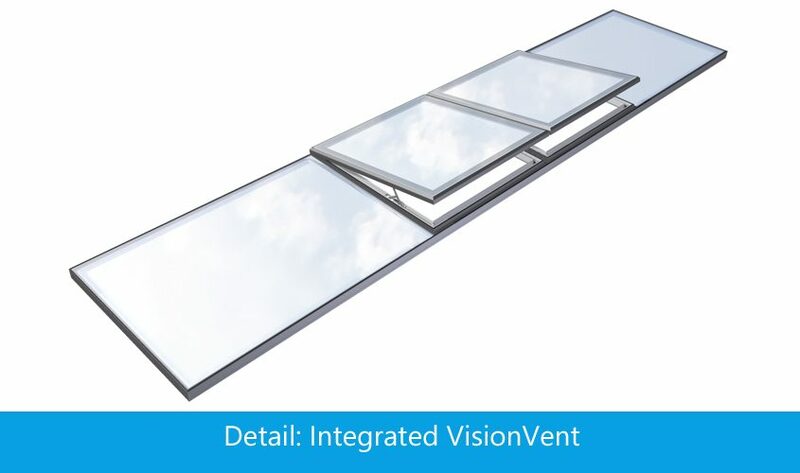 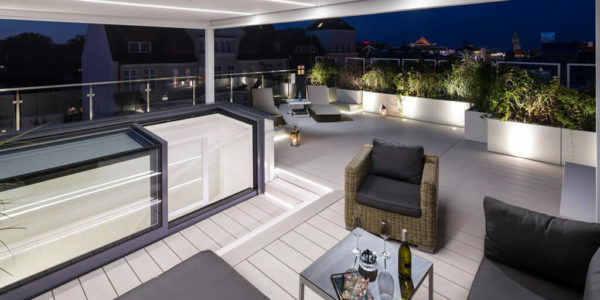 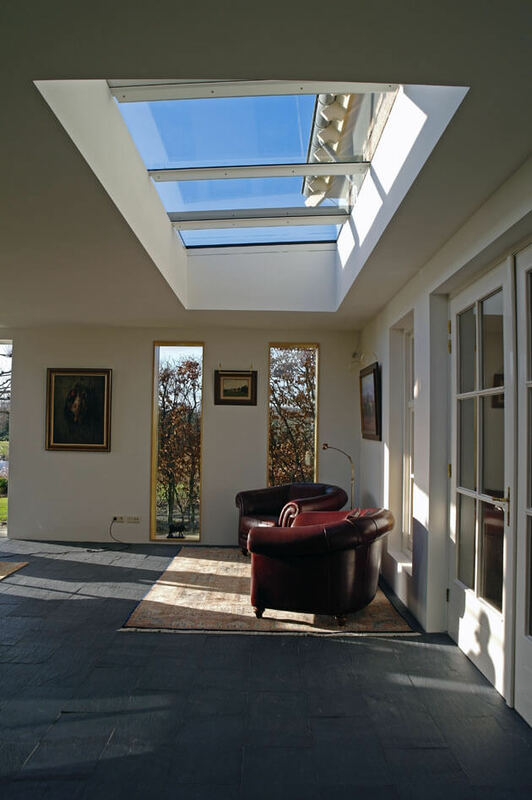 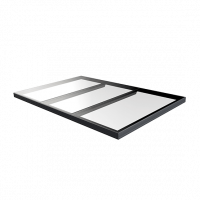 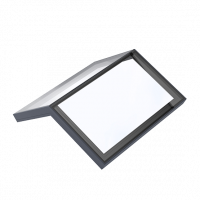 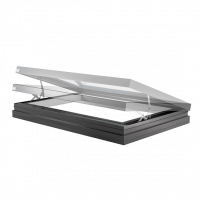 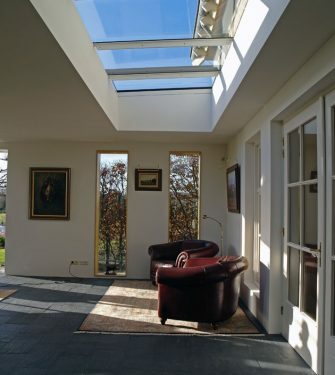 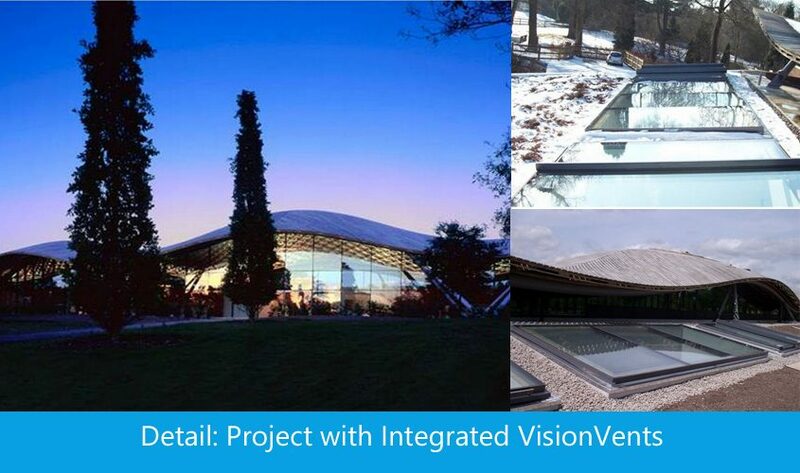 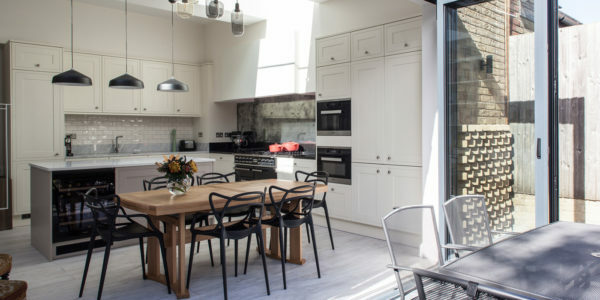 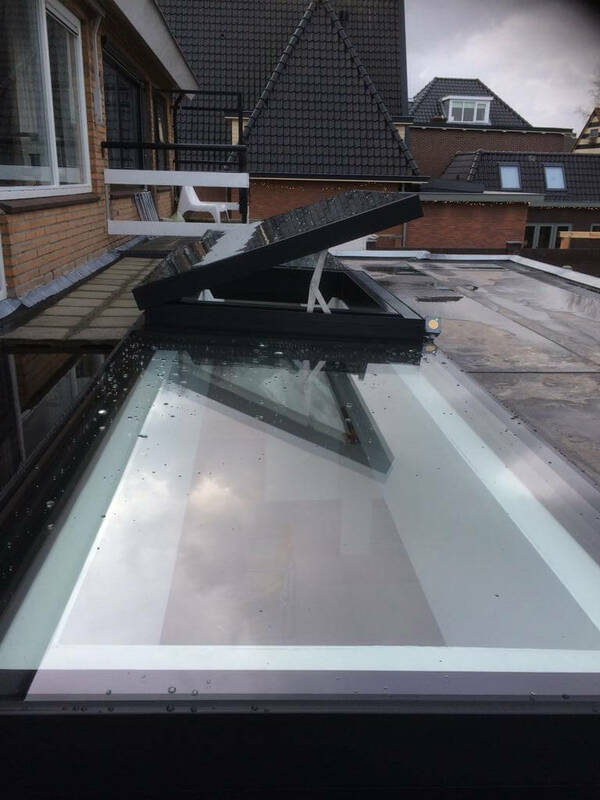 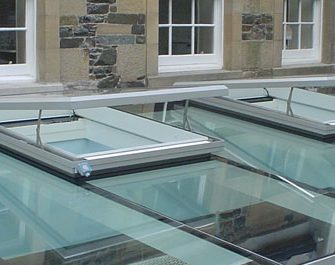 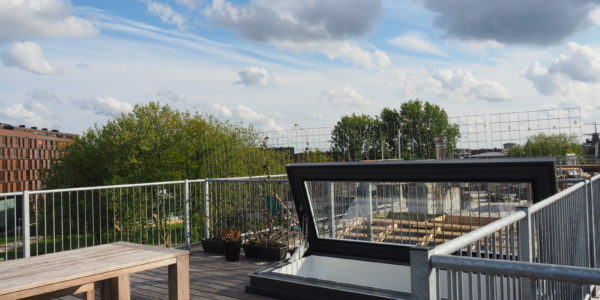 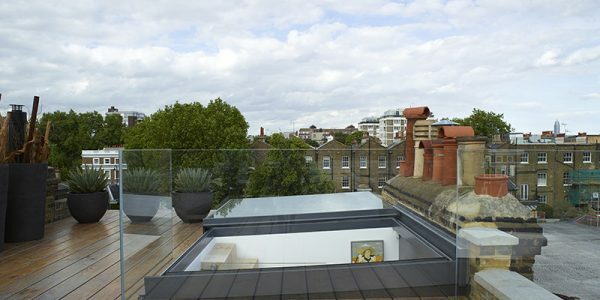 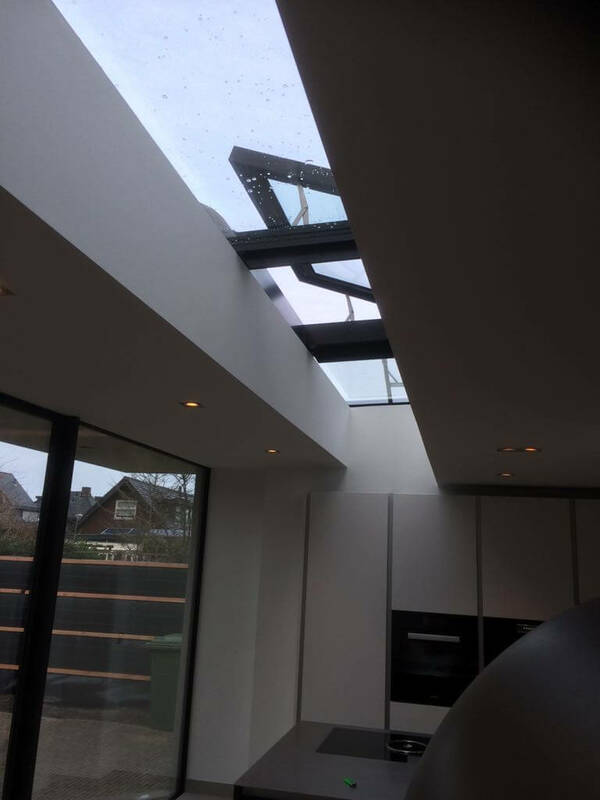 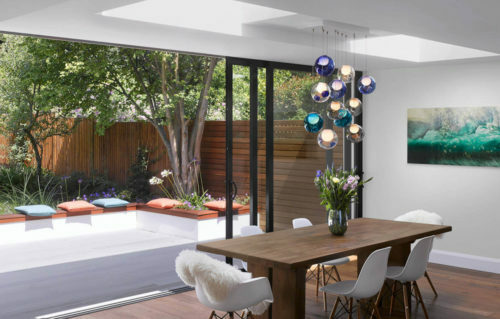 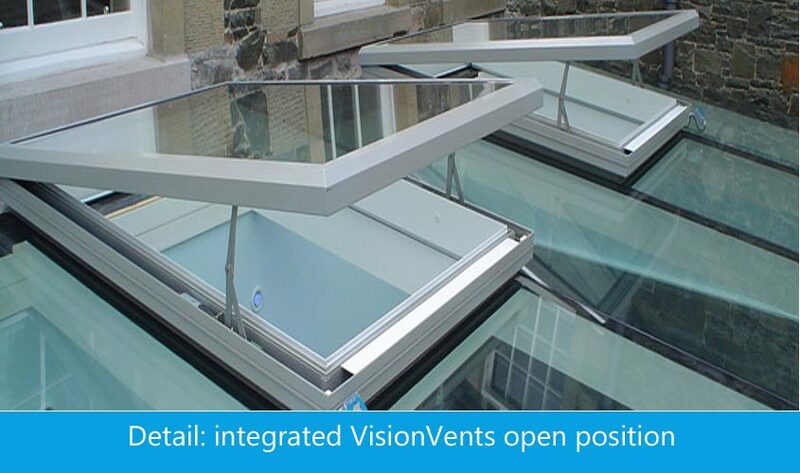 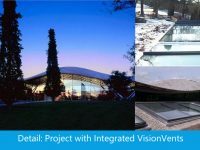 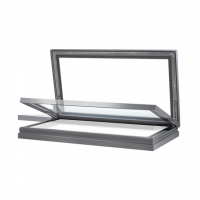 Our VisionVent Integrated is the rooflight for integration into a larger skylight. 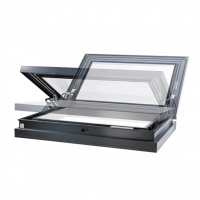 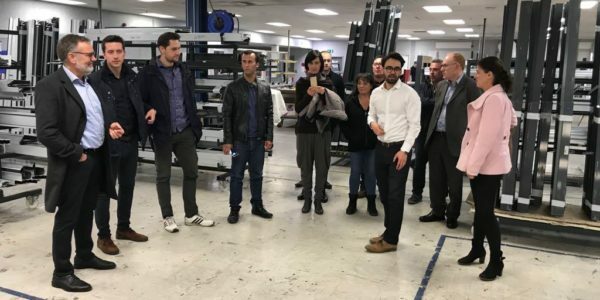 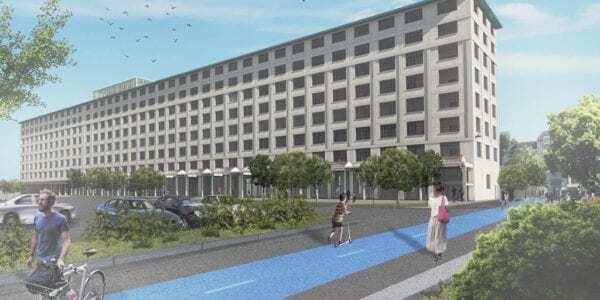 Manual or electric ventilation, in the dimension you need. 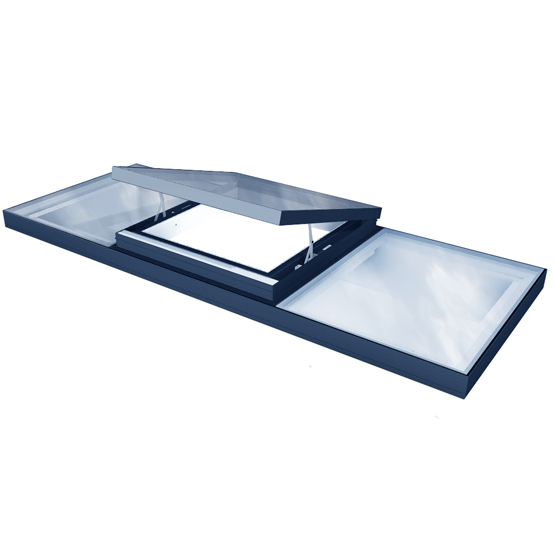 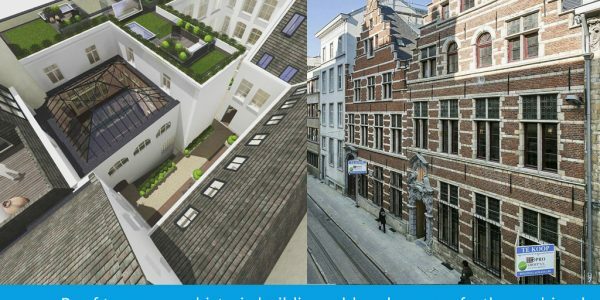 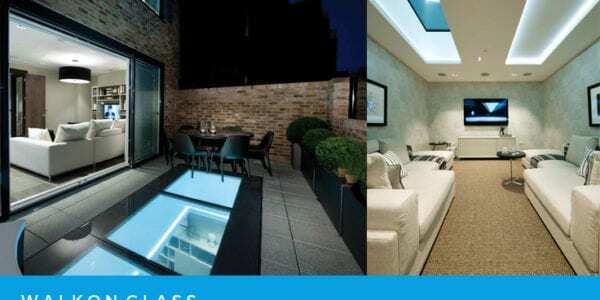 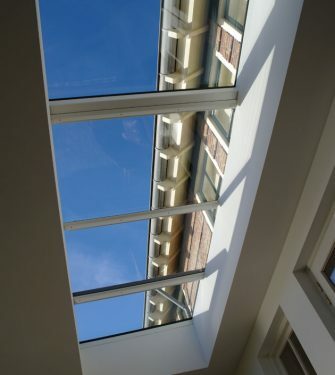 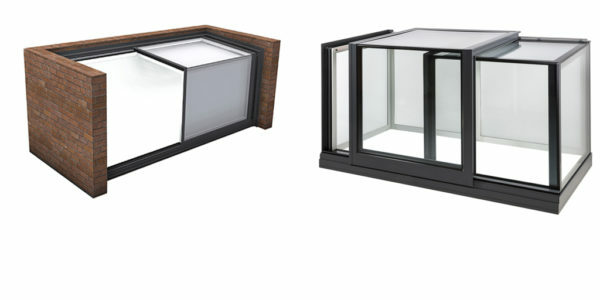 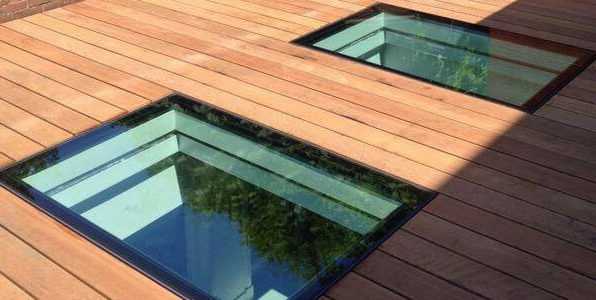 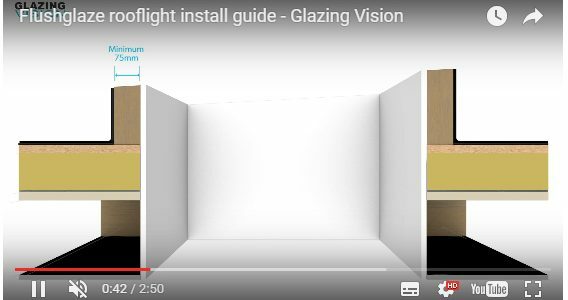 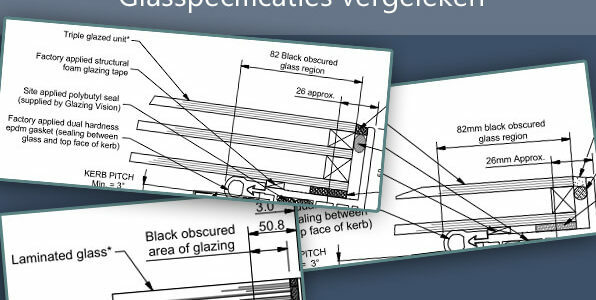 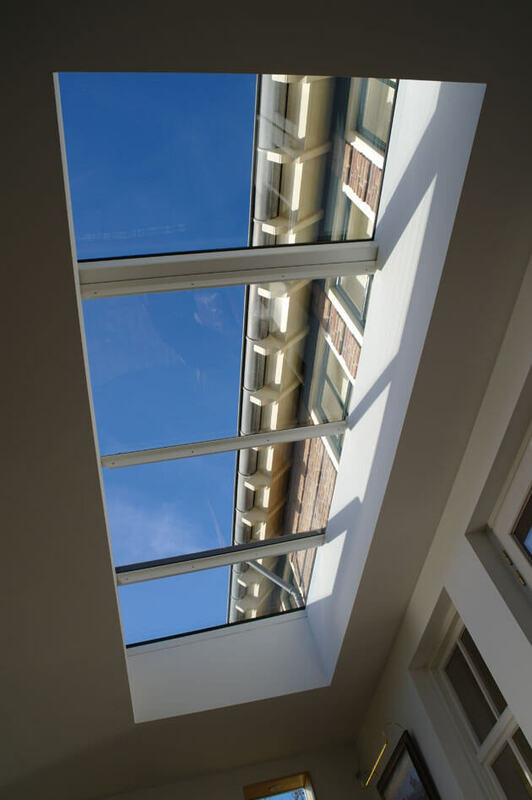 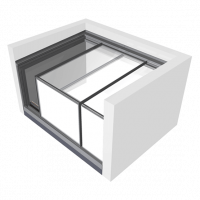 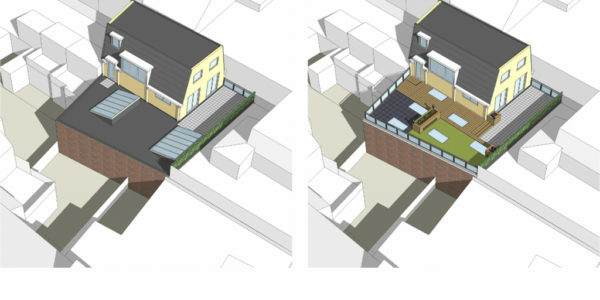 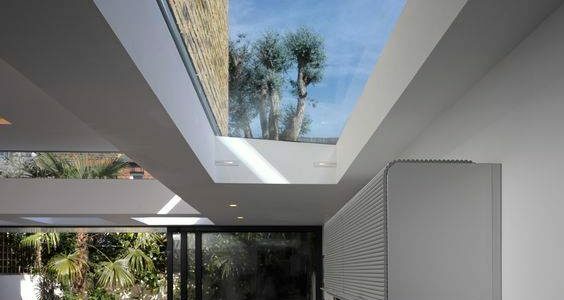 You can now design your own skylight, using the various modules we offer. 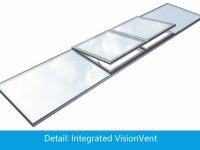 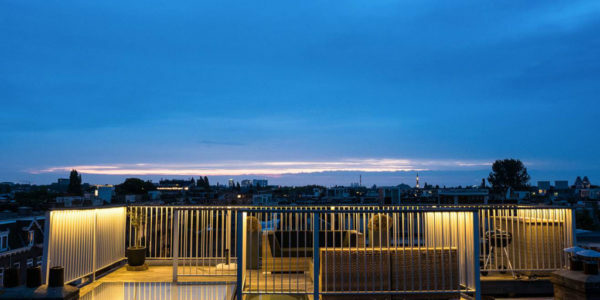 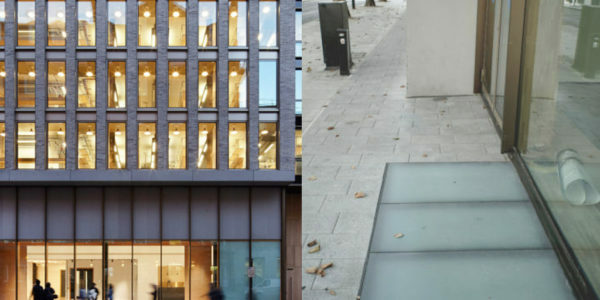 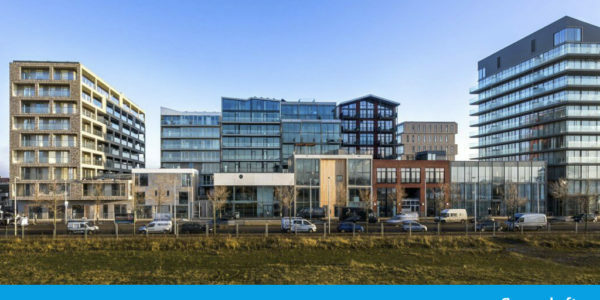 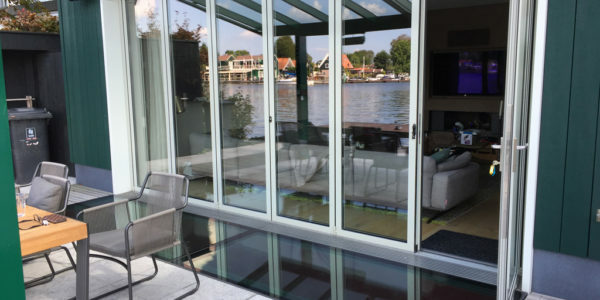 Our VisionVent can be integrated in the modular Flushglaze, enabling you to design Sky Only Views through our minimal framework, maximum daylight ethos. 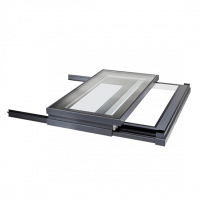 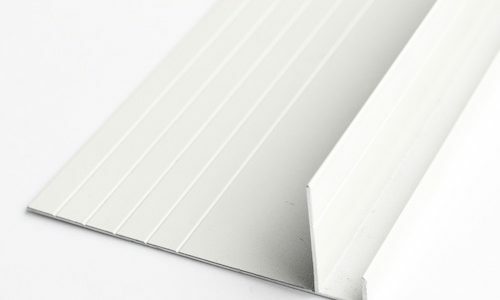 You can also integrate a roof acces module, like the Skydoor in our multipart Walkon Flushglaze. 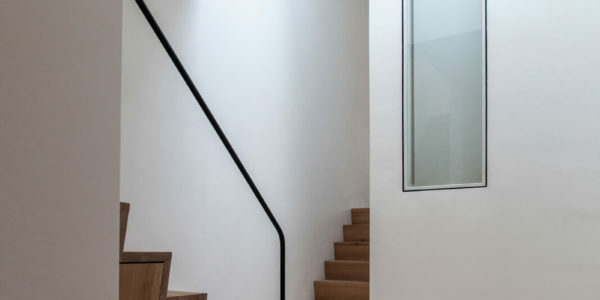 Minimal framework. 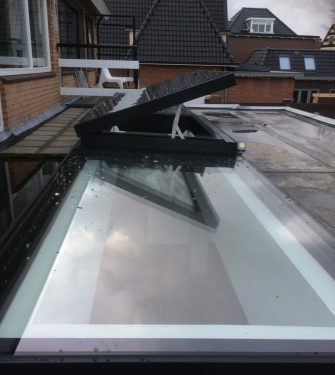 In this case in a special RAL colour, stylish black. 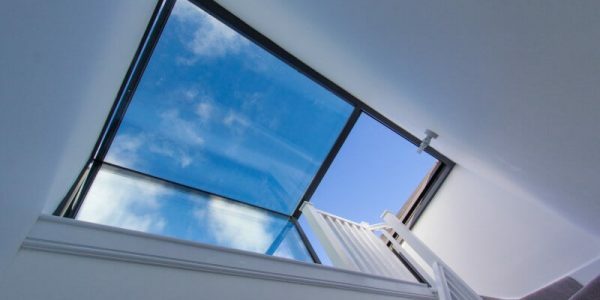 Sky Only View. 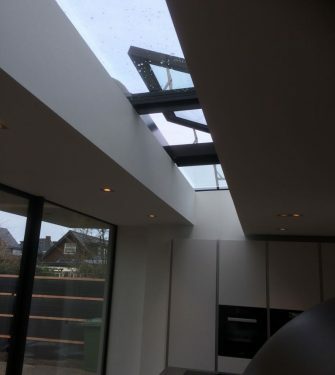 Lots of light. 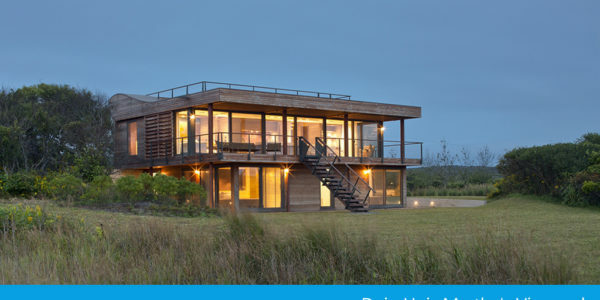 Lots of fresh air. 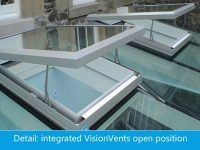 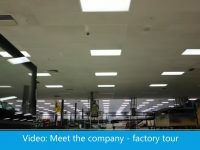 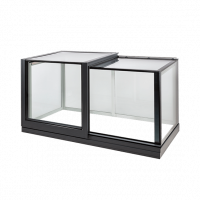 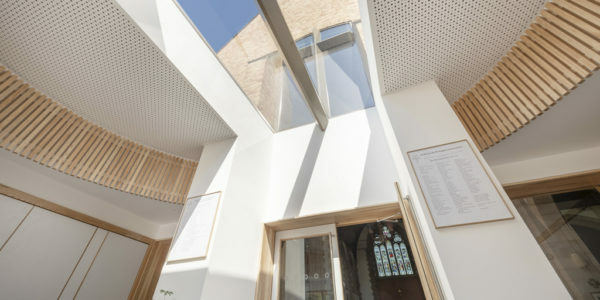 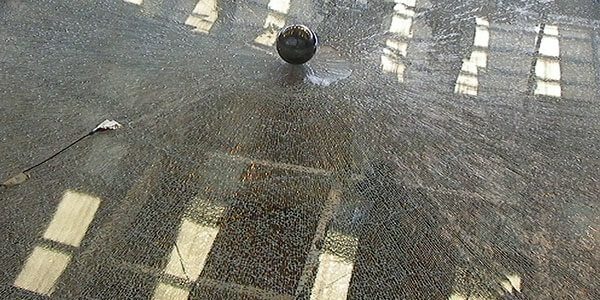 Two integrated VisionVents in a large modular skylight.